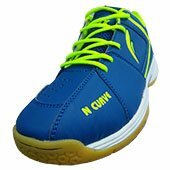 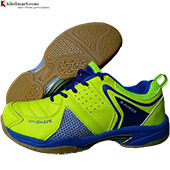 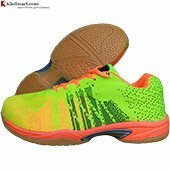 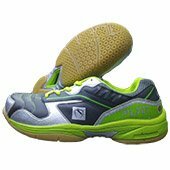 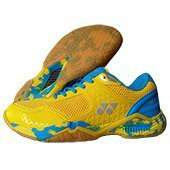 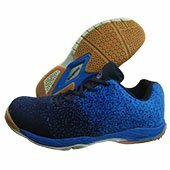 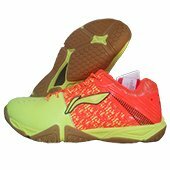 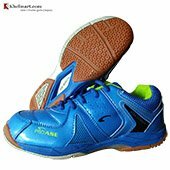 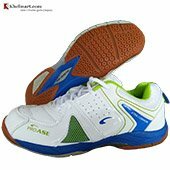 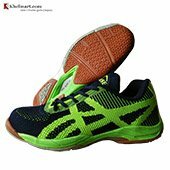 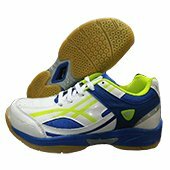 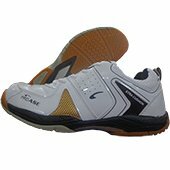 At khelmart we have good range of branded Badminton shoes of brands like, Yonex, LI Ning, Nivia, ASICS, Victor, Thrax, and Pro Ase and many more. 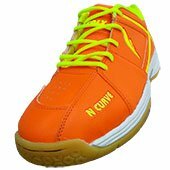 These shoes are available for beginner to advance to professional level. For beginner level durability is important while for advance player’s comfort, fitting and other technical features are very important. 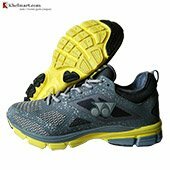 Different band manufactures offers different and unique technology and features in shoes. 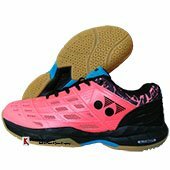 For Example, Yonex offers true cushion technology for beginners while power cushion and power cushion plus for advance players. 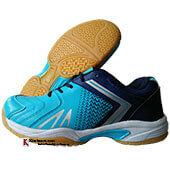 While Li Ning offers X cushion technology for its badminton footwear range. 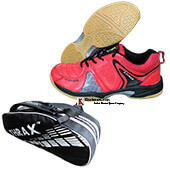 Thrax offers Opti Cushion technology in mid Range Badminton shoes. 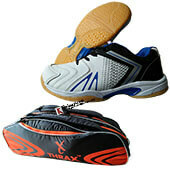 Opti cushion technology offers great comfort with soft feel to players. 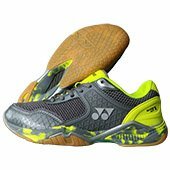 In 2019 Yonex introduces its Court Ace series , different models are launched in court ace series like Yonex Court Ace Matrix, Court ace Tough, Court Ace Light , Court Ace V and recently they launched Yonex Court Ace Matrix 2. 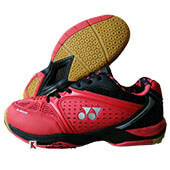 Yonex court Ace Series is developed for beginner to intermediate players. 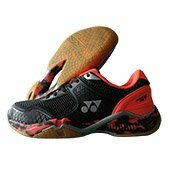 In this series, Yonex uses lots of new footwear manufacturing technique like die cut sections; Die cut pasting, minimum stitching, True cushion, True shape and many more. 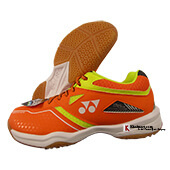 Further, to improve the cushioning and shock absorbing ability of the shoe, Yonex used True cushion technology in which high resilience and soft material in used at mid sole and inner sole. 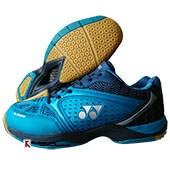 To improve the overall shape of the shoe, Yonex use the True Shape technology. 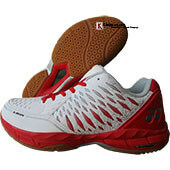 In true shape technology, Shoe upper is developed on wide last which gives better fitting to players. 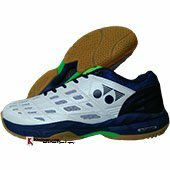 For professional and advance players, Yonex introduces the much awaited Yonex Aerus 3 in 2019. 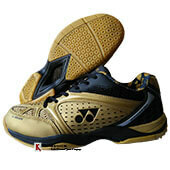 Yonex Aerus 3 model is Professional Level Top Class Badminton Shoes prepared with advance shoe manufacturing technique. 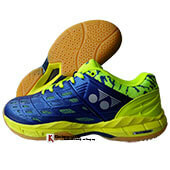 This shoe is developed with all new Power cushion + technology. 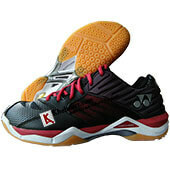 Yonex Power cushion comfort Z & Power cushion 03 Z are pro level badminton shoes with 3 Layer Power Cushion technologies. 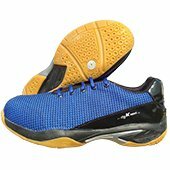 Yonex Power Cushion 65 Z is another good model for advance player with Power cushion + technology, this shoe is endorsed by Viktor Axelsen. 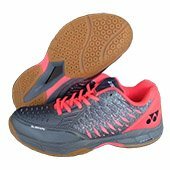 Yonex identified the game requirement of Viktor Axelsen and develop shoe for him with advance feature, cushioning and comfort. 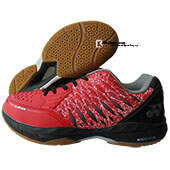 Li Ning introduced its flagship model known as LI Ning shadow of Blade. 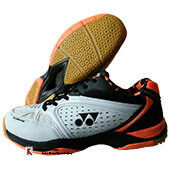 Shadow of blade model is developed with latest lamination technique with transparent sole made of high grade polymers. 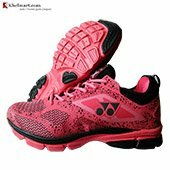 LI Ning Cloud is another good model launched in 2019. 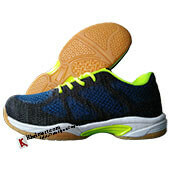 Cloud model is design with minimum stitching concept. 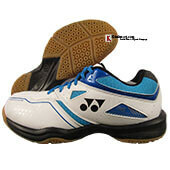 It is a single piece upper construction methodology developed to offer best comfort and feels. 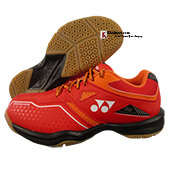 Li Ning Xion, Omega, XYLO, Ion, Vibe are the latest 2019 models from Li Ning Badminton. 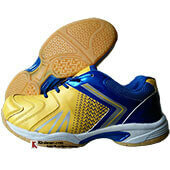 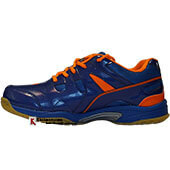 Victor Badminton launched Cushion Plus shoes in 3 colors. 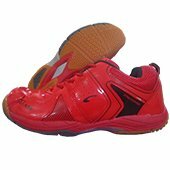 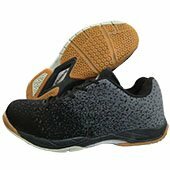 Victor cushion plus shoes is developed with Energy Max Concept which a light elastic high resilience material used at inner sole. 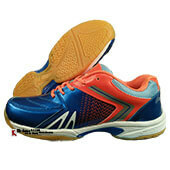 Energy Max concept offers excellent durability, shock absorbing ability and comfort feel to players. 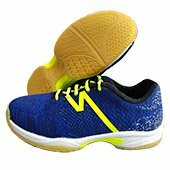 Victor AS@36W is another top selling model from Victor brand in year 2019. 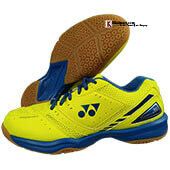 In this model Victor use Lightweight material with cushion technology to offers better comfort and feel to player. 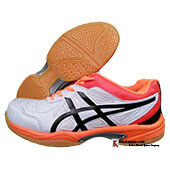 Similarly, Victor launched models like AS3W EF, AS3W FG, and AS3W AM in 2019. 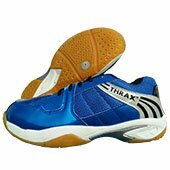 Thrax is Indian Sports good manufacturing company produces the quality sports equipment for sports enthusiastic. 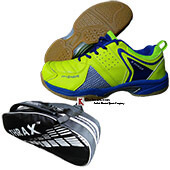 In 2019, Thrax worked on latest sports footwear manufacturing technique and develop Flyknit badminton shoes, In this series they launched models like, Court light 10 , court light 20 , court light 23 and Vivo shoe with lightweight feel. 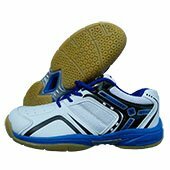 Badminton is world’s fastest racket Sports game and known for its lightening fast badminton rallies, fast smashes and quick & Sharpe movement on court. 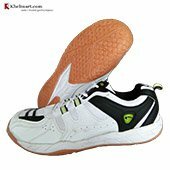 Badminton footwear plays important role in game as court covering and quick response to shots is essential in order win the point in the game. 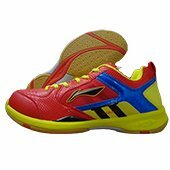 Badminton footwear is important for a player because it protects your feet while allow players to move on court with comfort and confidence. 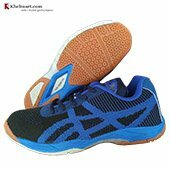 Badminton shoes with improved technologies like power cushion helps in performing better while its extra cushioning effect gives added advantage during jump smashes and optimize traction force helps to move quickly in different direction. 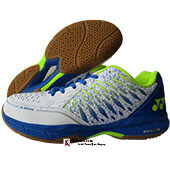 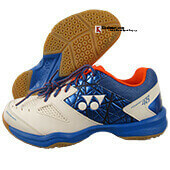 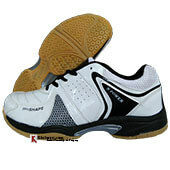 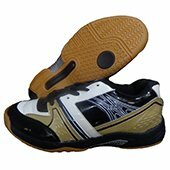 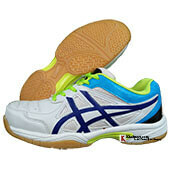 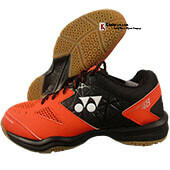 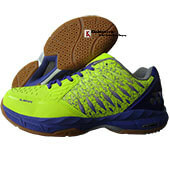 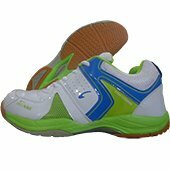 Badminton shoes play key role in badminton game and impact a lot on player’s performance. 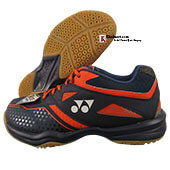 Perfectly selected badminton shoes can complement the badminton player performance. 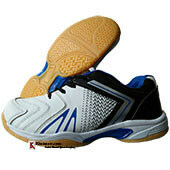 To manufacture the badminton shoe, 3 major components or sub assemblies are required. 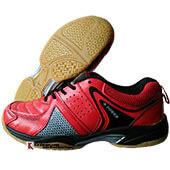 Sole Material is manufactured with Non Marking Rubber. 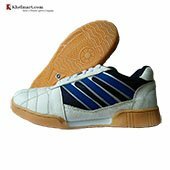 Upper of a shoe is manufactured with P.U Leather, Synthetic Leather, Nano PU, Microfiber, Polyester Mesh and Non Leather materials. 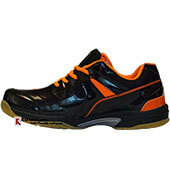 KOS (Khelmart Operation System) ent in process and quality enable us to achieve our goal .i.e. 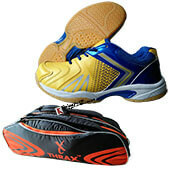 “To Become India’s Best and Trusted Online Sports Brand”.